Here is an author that I have wanted to read for a long time and was thrilled when invited to take part in this book tour,. 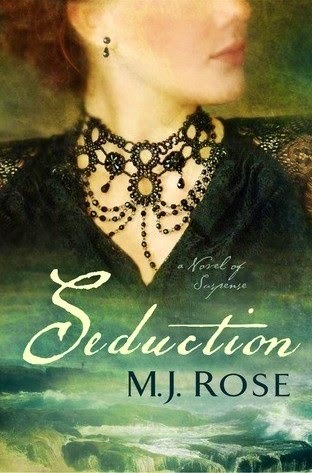 Then I realized that Seduction is the 5th book in The Reincarnationist Series. I got nervous, it's like walking into a movie half way through. At first I thought that I should read the other 4 books, but didn't have time for that. So I just jumped in and hoped for the best. I won't summarize the story since the synopsis is above and I think that speaks for itself. "every story begins with a tremble of anticipation" - great opening line. This book travels through time, beginning with Victor Hugo in 1800's, his 19 year old daughter has died. Grief stricken, he will do anything to communicate with her again. Current day we have mythologist Jac L’Etoile, she has suffered her own loss and is still grieving. We even jump back in time farther. Does it sound like a lot going on? Well there is, is it confusing? No, not in the least. This is a story weaving back and forth in time that did not cause my head to spin. What did happen was the need to continue reading, I was captivated! This book had it all, suspense, mystery, paranormal, romance and historical. It took place on the Isle of Jersey. The author has a way with words that created wonderful pictures in my mind of the island, the fog, the flowers and scents. (it's now on my bucket list to visit one day). M.J. Rose also had the ability to make me grieve with Victor Hugo over the loss of his daughter. His struggles and need to communicate with her were so distressing and real. "you can't stop loving someone because he ceases to take breaths"
Did my fear of this being the 5th book affect my enjoyment? Very definitely not, a good stand alone. However, that wont stop me from going back to the first in series and start at the beginning. founding board members of International Thriller Writers and runs the blog- Buzz, Balls & Hype. 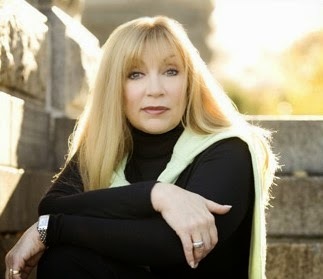 She is also the co-founder of Peroozal.com and BookTrib.com.